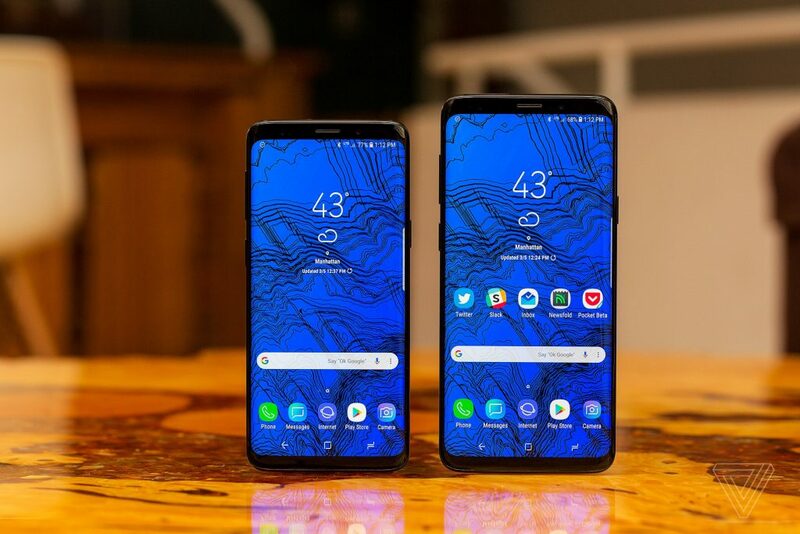 The Samsung Galaxy S9 Plus is a big phone that’s designed for big hands – and it takes the very best of what’s on the smartphone market and puts it together in a compelling package that we’ve loved testing. It was released March 2018. 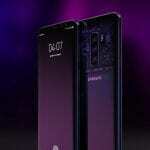 Weighing 189g with a dimension 158.1 x 73.8 x 8.5mm, OS: Android 8, CPU: Snapdragon 845 / Exynos 9810, RAM: 6GB and Storage: 64GB/128GB. 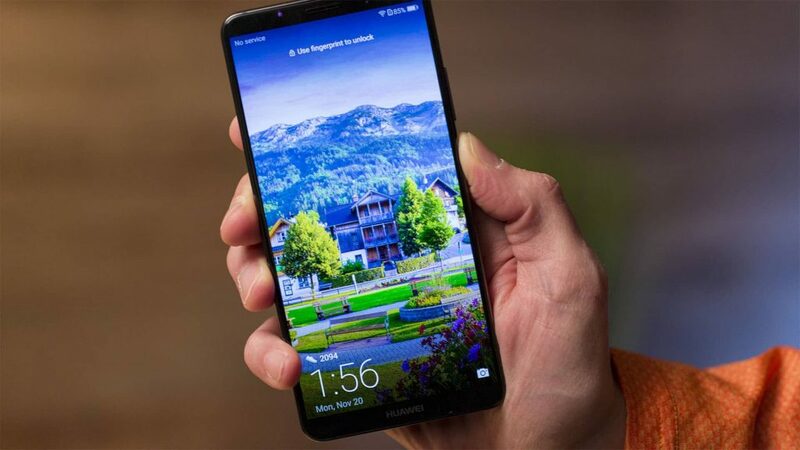 It’s screen is Super AMOLED 6.2-inch display and a resolution of 1125 x 2436 which has been measured as one of the very best around right now, with super colours, great dynamic range and, essentially, the very best viewing experience you can have on a mobile phone. The battery life on the S9 Plus is better than the smaller version, thanks to the 3500mAh battery. The camera on the Galaxy S9 Plus is among the best on the market, and the dual-aperture capability offers some startlingly good snaps when things get a little darker. Rear camera: Dual 12MP, Front camera: 8MP. Colours can look a tad washed out when the exposure is higher, but the power of the sensor, with memory built into it, offers very low-noise shots. 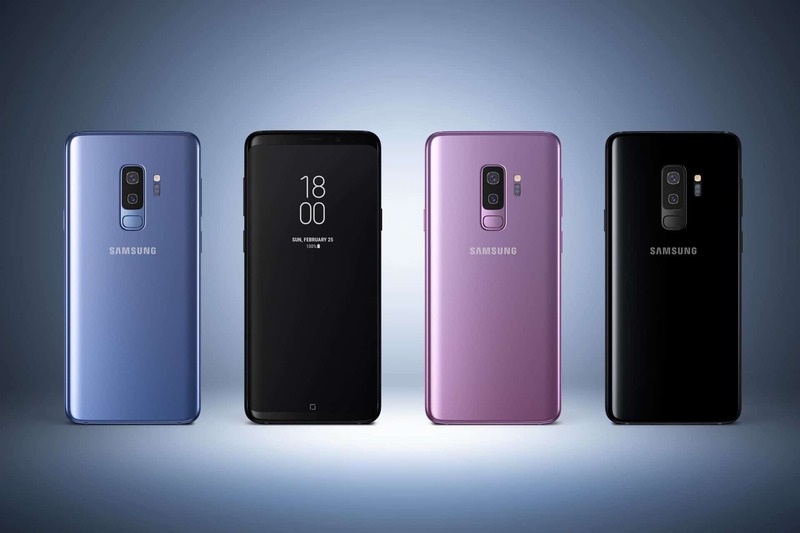 If you’re after a bigger phone with all the latest and greatest features on it, the Galaxy S9 is that and more. The best Android phone around. 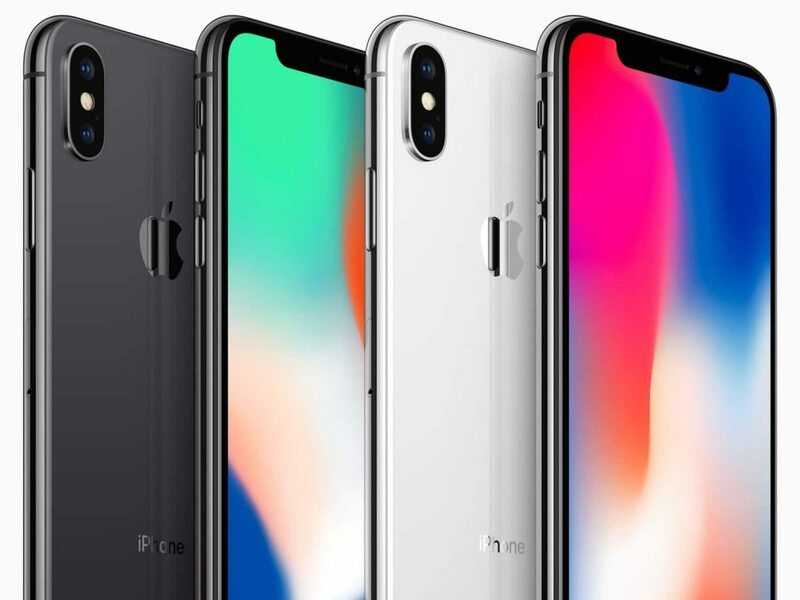 The iPhone X (although it’s pronounced ‘ten’) is the redesigned Apple phone that iFans have been crying out for. It’s got an all new shape, the notch at the top and higher price… but it’s the best iPhone that’s ever been made too (as long as you don’t miss the headphone jack). It was released October 2017. Weighing 174g with a dimensions of 143.6 x 70.9 x 7.7mm, OS: iOS 11, CPU: A11 Bionic, RAM: 3GB and Storage: 64/256GB. Its screen is 5.8-inch OLED screen which is the best display Apple has ever crammed into an iPhone. With a resolution of 1125 x 2436, it’s far ahead of the iPhone 8 and 8 Plus for so many reasons: the sharpness, the quality, the fact that it fills the whole front of the phone, and the color reproduction. The iPhone X’s battery life of 2716mAh is pretty good but it’s by no means best in class. If you’re a very heavy user you might struggle to last more than 12 hours but for most users it’ll comfortably last a whole day. Cameras on iPhones have always been superb and the iPhone X is no different. Rear camera: 12MP+12MP, front camera: 7MP. The camera on the X is often stunning, delivering still shots that are rich with detail. Perhaps not quite as brilliant as the Pixel 2, but still right up there with the best. This is the phone to buy if you want to treat yourself to a high-end handset – a little extra per month for something you really enjoy taking out of your bag or pocket is worth it (if you can afford it). The best iPhone Apple has ever made. The Samsung Galaxy S9 isn’t quite the phone that the S9 Plus is – it’s only got a single camera sensor, for one – but it’s a more palm-friendly model that still packs the power and top screen quality of its sibling. It was release March 2018. Weighing 163g with a dimensions of 147.7 x 68.7 x 8.5mm, OS: Android 8, CPU: Snapdragon 845 / Exynos 9810, RAM: 4GB and Storage: 64GB/128GB. It’s screen is a QHD 5.8-inch screen and a resolution of 1440 x 2960 takes up most of the front of the phone – and it’s still a stunning design. Brighter, more colourful and capable of showing the best of movies, the Super AMOLED tech is once again showing itself to be best thing to look at on a smartphone. 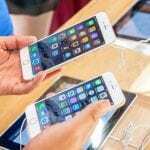 Battery life up to 3,000mAh is a little disappointing for a top-end smartphone, meaning you’ll need to think about a top-up during the day if you’re a harder user. Wireless and fast charging capabilities help with this though. The camera have only a single sensor on the rear of the Galaxy S9, unlike the Galaxy S9 Plus – meaning it’s not as good at photography. Rear camera: 12MP, front camera: 8MP. But don’t think the S9 takes poor photos, as they’re still stunning, and in low light it’s a sterling performer, with very little noise. The Galaxy S9 is a smartphone with all the top-end features you’d want, and more on top. It’s not quite at the level of the S9 Plus, and the iPhone X outranks it in some ways – but for a more palm-friendly Android phone it’s utterly tops. A great phone for the smaller-handed. The Pixel 2 XL is all about the camera, with a wider frame and more expansive screen for watching all manner of content. You’ll buy it for the pictures you can take, but the power and latest Android upgrades will impress too. It’s was released October 2017. 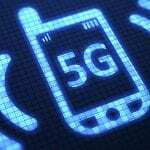 Weighing 175g and a dimensions of 157.9 x 76.7 x 7.9mm, OS: Android 8, CPU: Snapdragon 835 | RAM: 4GB and Storage: 64GB/128GB. The Pixel XL 2 screen has an expansive 6-inch display and a resolution of 1440 x 2880 that’s decent for gaming and video playback (although a few issues have surfaced around its viewing angles), and it boasts an improved design over the smaller Pixel 2, with slimmer bezels housing its dual front-facing speakers. The XL has good battery life of 3,520mAh – you won’t have a problem with it. It will comfortably last you a full day under normal conditions and with normal use, and its ability to save power when it’s not doing anything means it’ll last a few days in standby. Like the smaller Pixel 2, the camera on the XL is stunningly good. Rear camera: 12MP, front camera: 8MP. Photos look fantastic, and they’ll please both casual and more serious snappers alike. Low light conditions in particular are where this phone shines – perhaps not as competent as the Galaxy S9 pair though – and you’ll struggle to take a poor snap with this phone. This phone is for you if you want to go for a pure Android experience with the best camera on the market, and with a large screen. It’s a pricey phone but worth it if the above appeals. A great camera phone with a neat design. The Huawei Mate 10 Pro is a phone that might not instantly be on your wish list, but the brand has made huge strides of late, and the battery life is something that outranks most on this list. If you’re feeling that it’s time for a change, this is worth checking out. It was released October 2017. Weighing 178g with a dimensions of 154.2 x 74.5 x 7.9mm, OS: Android 8, CPU: Kirin 970, RAM: 6GB and Storage: 128GB. Screen size of 6-inch and resolution of 1080 x 2160. 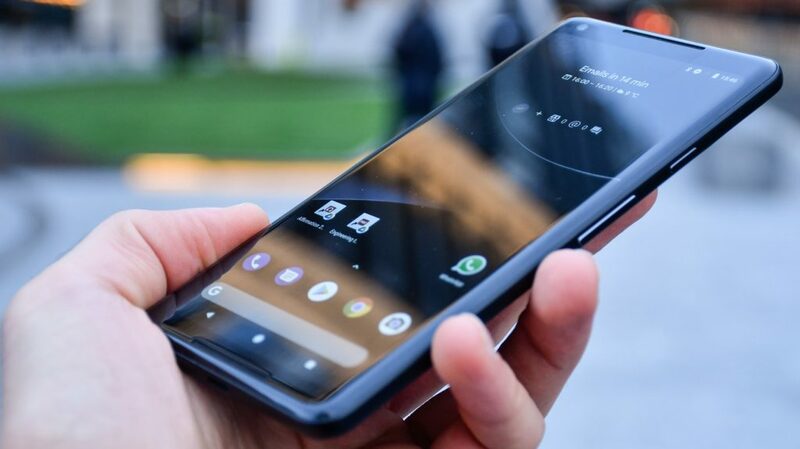 The full HD screen is a match for the Pixel 2 but not its other Android competitors like the Galaxy S9 and Note 8 phones from Samsung. As such, the screen on the 10 Pro is very good…but not spectacular. The biggest talking point of the Huawei Mate 10 Pro is its battery. It’s big at 4,000mAh, and it translates to impressive performance, with the possibility of stretching usage to two days from a single charge if you knock it to flight mode overnight. On the rear, the dual camera setup is a solid point-and-shoot option, but it really excels if you dive into manual mode; Rear camera: 20MP+12MP, front camera: 8MP. If you’re a camera enthusiast who’s willing to spend time fine-tuning, you can get some great shots from the Mate 10 Pro. It’s not the best looking or bristling with the most features, but the Huawei Mate 10 Pro is a brilliant phone if you’re looking for a big screen and best-in-class battery life. A powerful phone with an amazing battery life.